Before removing the domain we would recommend you backup the domains content to ensure you have recent copy of the domain data. This process is slightly different depending on what platform your hosting account is on, Windows or Linux. If you have a Windows hosting account you will only need to complete step one, doing so will delete the domains data. Select Domain Info link in Domain Settings menu on the left. Click the Delete icon in the Domain name field at the top of the page. Confirm the deletion by clicking “Yes, I agree with the above”. If you choose to leave web content, all this Web site will remain on the server and will be accessible by FTP. If you choose to remove web content, all this Web site and its directory will be permanently deleted from the server. So the domain has now been removed from your account, now we need to get this transferred over to the new account, so lets walk through that process now. In the host existing domain field, enter your domain and hit Submit. You will get options, if you want email and hosting, just check which you want and hit Submit. Now you just have two more things to check before we are done. 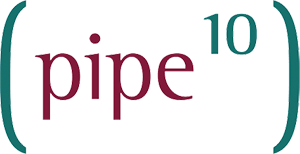 When you host a domain with Pipe Ten we encourage you to use our name servers, this is due to the fact any changes in the control panel get updated in your DNS to reflect this, for example if you create a sub-domain in the control panel we will then create the DNS records to provide access to this sub-domain for you. An last but not least you will need to setup any customer DNS records you previously had setup.